Note the machine does not double side. Xerox Phaser 4510dn. 1 x Xero x Phaser 4510dn. Fast Duplex & Network Ready Workgroup Printer. 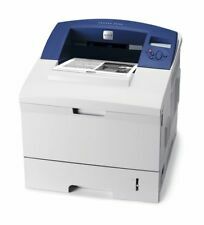 Laser A4 Mono Laser Printer. Duplex Unit. Connectivity: Parallel, USB and 10/100 Base-TX Ethernet. Print Speed: Up to 45 ppm. Still sealed as new, never opened. For Collection only. 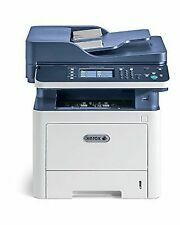 Xerox Workcentre 3335DNi A4 Mono Multifunction Printer. Xerox Workcentre 3335. Up to 33ppm Mono Print Speed. Print / Scan / Copy / Fax. Automatic Double Sided Printing. 1200 x 1200 dpi Print Resolution. Automatic duplex printing (2-sided). Print up to 35ppm (Mono). USB & Ethernet connections. We will always go out of our way to source the product you are looking for. USB & Ethernet connections. Print, Copy, Scan & Fax Functions. Print up to 35ppm (Mono). We will always go out of our way to source the product you are looking for. Add to Favourites. Multifunction mono laser printer scanner for sale. reason for the sale both new printer. They are supplied with a testing toner only as we cannot Gaurantee the condition or remaining pages. These Printer are our refurbished Printers. •Printer repairs undertaken. Isle of Man : IM, EVC. 12 £15.00. Print, Copy, Scan and Fax Functions. Print up to 24 Pages per minute. We will always go out of our way to source the product you are looking for. Print up to 21 Pages Per minute. We will always go out of our way to source the product you are looking for. Xerox Phaser 3320dn - A4 Mono Laserjet Printer. The Printer Broker Ltd is a supplier of printers, fusers and printer parts based in Bolton, Greater Manchester, UK. In Original Box with Part Used Toner. Xerox Phaser 4500n. 1 x Xero x Phaser 4500n. Heavy Duty Desktop A4 Mono Laser Printer. Fast 36PPM Network Ready Workgroup Printer. Connectivity: Parallel, USB and 10/100 Base-TX Ethernet. Print Speed: Up to 36 ppm. This unit was bought for a specific job on location then once it arrived the contract was changed and it was no longer required. Collection only from near Jedburgh in the Scottish Borders. The printer is perfect in every way. Used But In full Working order. Collection From Central reading Or Central London EC1. Automatic Duplex Printing (2-sided). Print up to 30 Pages Per Minute. We will always go out of our way to source the product you are looking for. Add to Favourites. USB 2.0 connection. Automatic duplex printing (2-sided). Print up to 35ppm (Mono). USB, Ethernet & Wifi connections. We will always go out of our way to source the product you are looking for. 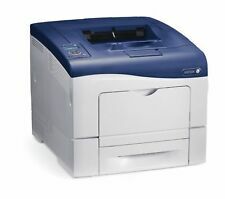 Xerox Phaser 3250/B A4 Mono Laser Printer - Duplex USB Sub-50 pages from new. It has the original Xerox supplies installed, reading 100% and has printed less than 50 pages (our tests). The original driver disk and manual are present. This is what Xerox has to say: -. This powerful little printer is ready to support a single user or a small work group with fast, automatic two-sided printing, office-friendly convenience and outstanding overall value. Print, Copy, Scan and Fax Functions. We will always go out of our way to source the product you are looking for. Add to Favourites. High-Speed USB, and Ethernet Connections. Print up to 42ppm (Mono/Full Colour). USB 2.0 & Ethernet connections. We will always go out of our way to source the product you are looking for. Add to Favourites. USB & Parallel connections. Print up to 22 Pages Per Minute. Add to Favourites. We will always go out of our way to source the product you are looking for. Refurbished Xerox Phaser 3150 laser printer. 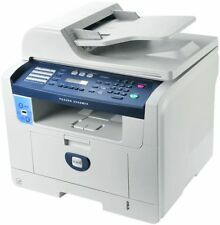 Here we have a nice Xerox Phaser 3150 printer With 6 months warranty (see below). Print up to 43 pages per minute. We will always go out of our way to source the product you are looking for. Add to Favourites. USB, Parallel and Ethernet connections. USB, Parallel and Ethernet connections. Print up to 38ppm (Mono). Add to Favourites. We will always go out of our way to source the product you are looking for. The Printer Broker Ltd is a supplier of printers, fusers and printer parts based in Bolton, Greater Manchester, UK. Part : 6500V_N. Automatic Duplex Printing (2-sided). Print up to 35 pages per minute. We will always go out of our way to source the product you are looking for. Add to Favourites. USB, Parallel and Ethernet connections. USB & Parallel connections. Print up to 38ppm (Mono). Add to Favourites. We will always go out of our way to source the product you are looking for. Automatic Duplex Printing (2-sided). Printing, Scan, Copy, Fax Capabilities. Print up to 21 Pages Per Minute. We will always go out of our way to source the product you are looking for. USB, Parallel and Ethernet connections. Automatic Duplex printing (2-sided). Print, Copy, Scan and Fax Functions. We will always go out of our way to source the product you are looking for. Add to Favourites. High-Speed USB, and Ethernet Connections. WorkCentre 3335, 35/33 ppm, 1200 x 1200, dpi, 1 GHz, 1.5 GB, USB 2.0, Wi-F, 15.51kg. Claim £45 cashback by searching for 'claim WorkCentre 3335 cashback' on the Xerox UK website. Print speed (black, normal quality, A4/US Letter) 33 ppm. Automatic Duplex printing (2-sided). Print up to 38ppm (Mono). We will always go out of our way to source the product you are looking for. Add to Favourites. USB 2.0, Parallel & Ethernet connections. Print up to 50ppm. Add to Favourites. We will always go out of our way to source the product you are looking for. Total input capacity: 2100-sheets (500-sheet tray 1, 100-sheet MP tray, 500-sheet tray 2, 500-sheet tray 3, 500-sheet tray 4). Condition is Used. 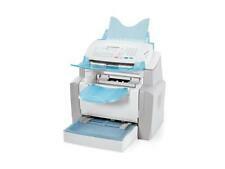 Multifunction printer, scanner and copier. Works perfectly. Condition is Used. collection from cotteridge B30 2EX. We have no influence on these data and must take distance from that. Unless otherwise stated, product manuals, software drivers, PC connection cables or other accessories are not included. Software drivers can be downloaded for free from the respective manufacturer pages. Toner Colour Black. Toner Colour(s) Black. Brother WT-220CL (Yield 50,000 Pages) Waste Toner Unit. Form Factor Bottle. More fromXerox. Kikatek Code K950966. MorePrinters & Scanners products. The Xerox??. Installation is as simple as inserting one DVD-ROM disc and connecting the scanner to a host PC via a high-speed USB 2.0 cable. Optical scanning resolution:How many pixels a scanner can see. Xerox Phaser 3320 A4 Duplex USB Laser Printer 3320 FULLY WORKING. HEAVY.Only needs toner. or can be collected from North London. Weight in kg: 90. Unless otherwise stated, product manuals, software drivers, PC connection cables or other accessories are not included. Software drivers can be downloaded for free from the respective manufacturer pages. 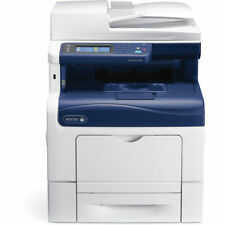 Xerox Workcentre 3325 A4 MFP Mono Printer, Low Count 37k, High Toner, WARRANTY! 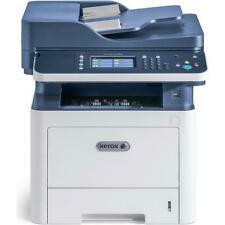 Xerox Workcentre 3325 A4 Multifunctional Mono Printer, Low Count 58k, WARRANTY!